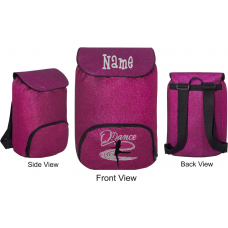 This is the ideal backpack for cheer squads, pom squads, dance groups, or just anyone who likes a little sparkle in their life! 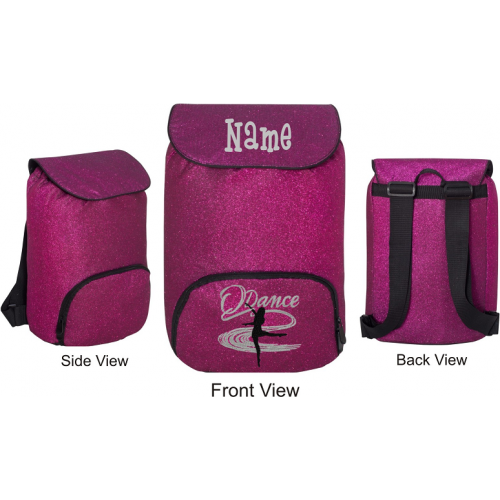 Upload a logo or design to be added on the bottom flap and make your backpack special! Unauthorized or copyright-infringing logos will not be added. For complex images, a set-up fee may apply; we will contact you if necessary. Name can be added to top flap for a small extra charge. Can also be ordered with no logo and name only.